Seoul, South Korea (CNN) -- North Korea warned Friday that planned U.S. and South Korean military exercises beginning this weekend bring the Korean Peninsula "closer to the brink of war," according to state news agency KCNA. "The situation on the Korean Peninsula is inching closer to the brink of war due to the reckless plan of those trigger-happy elements to stage again the war exercises targeted against the DPRK," the report said. The warning came as Lee Hee-won, a presidential security aide, has been named South Korea's new defense minister after the resignation of Kim Tae-young a day earlier, the Defense Ministry's press office said Friday. But confusion between the factions of the Seoul government over the announcement only highlighted the concerns that led to Kim's resignation. A former general, Kim came under heavy criticism after the March sinking of the South Korean war ship Cheonan and again after North Korea struck the South's Yeonpyeong Island on Tuesday. North Korea has been blamed by the South and other nations for the Cheonan incident, in which 46 sailors were killed, but has denied responsibility. North Korea has blamed South Korea and the United States for the Yeonpyeong incident, in which two South Korean marines and two civilians were killed and 15 others injured. South Korean lawmakers from both parties alleged that South Korean forces were unprepared for either of the North Korean attacks, and some have insisted that South Korean aircraft should have responded to the Yeonpyeong incident immediately. Lawmakers demanded Kim's resignation earlier Thursday. Kim actually submitted his resignation May 1, after the Cheonan incident, said the Blue House spokesman, but it was not accepted until Thursday because of the Cheonan aftermath and other military-related issues. The Cheonan sinking sparked a public uproar, with many stating that it should not have been possible for North Korea to have damaged South Korea's military, which is much more high-tech. South Korea's Yonhap news agency first reported Lee's appointment as defense minister early Friday, citing the presidential Blue House. The Blue House referred CNN to the defense ministry press office, which provided the confirmation. The defense ministry waffled, however, during a second phone call, telling CNN that the announcement must come from the Blue House. And the Blue House said it could not confirm the appointment when CNN called there for a second time. President Lee Myung-bak also drew criticism for his first statements after the Yeonpyeong artillery bombardment, in which he asked for a stern response but added that de-escalatory measures also had to be taken. Later that same day, Lee spoke to the military and urged heavy retaliation. It was unclear who advised Lee on his first message, but on Wednesday, speaking to a lawmakers' committee, Kim said the president's first instruction was to stop the fire from spreading. State-run North Korean broadcaster KCTV reported Thursday that South Korea had stated its plan to "fire towards our territorial waters with their Yeonpyeong-based artillery on November 22." The North said it asked "the puppet South" not to do so, but it persisted, and the North fired back in self-defense. "If the U.S. truly wishes to ease the tension in the Chosun [Korean] peninsula, rather than protecting the puppet South, they should control the South, so the South will not hang on to maintaining the NLL [Northern Limit Line] by invading territorial waters and firing artilleries," KCTV said. "This incident shows that the acutal offender of the armistice is the puppet South and it is the U.S. which created tension in the Chosun west sea." Meanwhile, South Korea said Thursday that it will strengthen and supplement its rules of engagement in the Yellow Sea, following the incident on Yeonpyeong Island. South Korea was holding annual military exercises near North Korea when Pyongyang started shelling Tuesday. Shells from the South's exercises landed in North Korean waters, KCNA said. The aircraft carrier USS George Washington on Wednesday sailed toward the Yellow Sea for the drill, which was billed as defensive. "It is a long-planned exercise," said Adm. Mike Mullen, chairman of the U.S. Joint Chiefs of Staff. "That said, it is meant to send a very strong signal of deterrence and also work with our very close allies in South Korea," Mullen said on CNN's "Fareed Zakaria GPS." "We're very focused on restraint -- not letting this thing get out of control. The South Koreans so far have responded that way. Nobody wants this thing to turn into a conflict." On Thursday morning, Lee and his economic and security ministers met in Seoul. The meeting began with a moment of silence for the Yeonpyeong victims. After the meeting, South Korea said it would boost its rules of engagement in the Yellow Sea. South Korean marine forces based in five islands near North Korea and the disputed Northern Limit Line also will be reinforced, a government spokesman said. The Yeonpyeong attack also will lead to a plan for civilian safety on the five islands in the Yellow Sea, the government spokesman said. No details were immediately offered about the plan, but Lee on Wednesday ordered the strengthening of civilian shelters on the islands. The islands include Yeonpyeong and Baengnyeong, off which the South Korean warship Cheonan was sunk in March, killing 46 sailors. 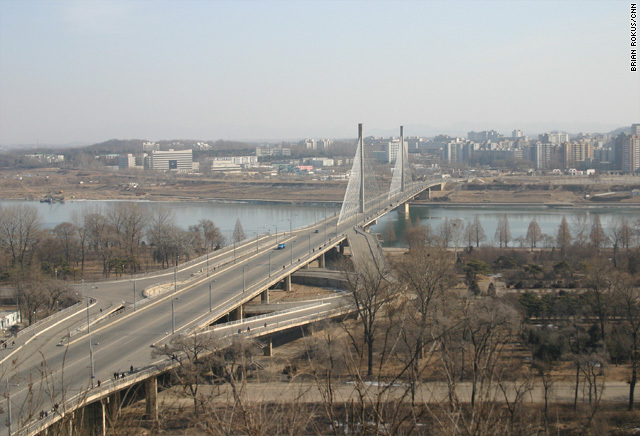 Seoul blamed Pyongyang for the torpedo attack, which the North has denied. The Lee administration also will continue to closely monitor capital markets and foreign exchange rates, prepared to take preventative measures as needed, the spokesman said. The Yeonpyeong shelling sent ripples through South Korea's stock market, which has rebounded. South Korea's economic and security ministries will cooperate closely, and the administration will publicize developments in real time to address major concerns and squelch rumors, the spokesman said. The Yeonpyeong attack was the first direct artillery assault on South Korea since the Korean War ended in 1953.